So you want NASA to fly you to the moon and let you play among the stars. Maybe let you see what spring is like on a-Jupiter and Mars? Well, you're going to need more than a solid Sinatra impression to get NASA to accept you into its spacefaring ranks—a whole lot more. First, the bad news: NASA's already hyper-exclusive astronaut program has been shrinking precipitously since the start of the century—egged on by the demise of the manned shuttle program. Between 2000 and 2011, NASA's astronaut ranks have shrunk from 150 to just 61. A 2011 study conducted by the National Research Council, however, warned that the US may find itself short of space cowboys unless it starts hiring more. And that's where you come in. NASA began its astronaut hunt in 1959, shortly after the agency itself sprang to life, though the original crop of extraterrestrial flyboys were cultivated exclusively from members of the armed forces. Out of the entire US military systems only seven—all men, all pilots—were tapped to become the first astronauts. However, much has changed since the start of the Cold War. Now anybody who meets the basic requirements, regardless of race or gender, can apply to NASA. Astronauts are involved in all aspects of assembly and on-orbit operations of the ISS This includes extravehicular activities (EVA), robotics operations using the remote manipulator system, experiment operations, and onboard maintenance tasks. Astronauts are required to have a detailed knowledge of the ISS systems, as well as detailed knowledge of the operational characteristics, mission requirements and objectives, and supporting systems and equipment for each experiment on their assigned missions. Long-duration missions aboard the ISS generally last from 3 to 6 months. Training for long duration missions is very arduous and takes approximately 2 to 3 years. This training requires extensive travel, including long periods away in other countries training with our International partners. Travel to and from the ISS will be aboard the Russian Soyuz vehicle. Consequently, astronauts must meet the Soyuz size requirements. What's more, you must be qualified for the position to which you are applying and each crew position—pilot, commander, mission specialist, and payload specialist—has slightly different requirements. You have to be a US citizen (either natural or naturalized) or hold dual citizenship between the US and another nation. You need a bachelor's degree from an accredited institution in engineering, biological science, physical science, or mathematics. These are the only fields that NASA is interested in. You must have "at least 3 years of related, progressively responsible, professional experience or at least 1,000 pilot-in-command time in jet aircraft" following the award of your degree. That means you either go into the business world, pursue a doctorate (which counts as three years experience), or start flying jets for the US military or the commercial airlines. You can also become a teacher, as k-12 educators are often recruited by the agency. You have to be in shape and able to pass the NASA long-duration space flight physical, as well as have correctable vision to 20/20 in each eye. You must hold a bachelor's degree from an accredited institution in engineering, biological science, physical science, or mathematics. Bonus points for advanced degrees, wicked high test scores, and the quality of your institution. You need at least 1,000 hours pilot-in-command time in jet aircraft. Test pilots are highly sought after. Height: between 62 and 75 inches. If you meet these basic requirements and think you've got what it takes to go to space, fill out a NASA application: either the civilian version or the one for active duty military. But understand that your chances, right out of the gate, are very slim. NASA only picks classes of new candidates once every presidential term these days, and out of the 6,000 to 8,000 applicants each round, only 8 to 35 actually make it in. "If a student comes to me and says, 'I want to be an astronaut,' I tell them, 'Great: Excel in your coursework, go get a piloting license and learn to play the guitar,'" John Armstrong, a professor of physics at Weber State University, told USA Today. If your application has gotten past the preliminary screening process, you and 100 or so other finalists will be invited to a week-long ordeal of interviews, medical screenings, background checks, and orientation films. The interviews are going to be your biggest hurdle. There is no single archetype for an astronaut anymore and, in fact, the selection committee often looks for diversity in its crews. You will need to show that you have a wide range of passions beyond your primary skill set—avid outdoor adventurers are often highly sought after but anybody that demonstrates the willingness to throw themselves fully behind a new endeavor in order to excel at it will make a very good impression. "It comes down to how much of a positive impression you make on the interview panel," Tom Jones, a former NASA astronaut who flew on four shuttle missions, told USA Today. "They size you up in an hour and decide if you're a person they and others would like to work with." So make sure to smile! 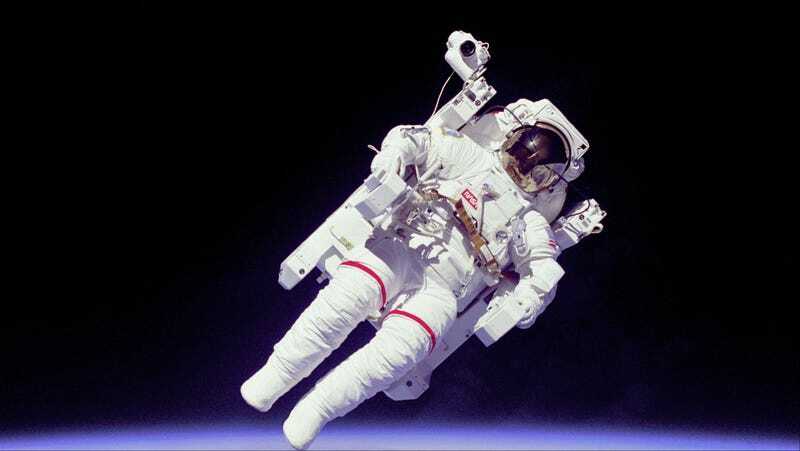 "Basically, we're looking for nice people who can do the job, pass the medical requirements and can be part of a team for a long duration in an isolated environment," Duane Ross, the manager for astronaut candidate selection and training told USA Today. "The good news is we've got a lot more great people than we could ever take." Once you've charmed your way past the people who may eventually become your crewmates, don't get comfy. You've got another 2 -3 years of work ahead of you. Selected applicants are designated Astronaut Candidates and are assigned to the Astronaut Office at the Johnson Space Center in Houston, Texas. There, you will undergo rigorous training and evaluation program—essentially an astronaut boot camp that will train you in everything NASA. You'll have to pass PADI certification, complete military water survival training, and endure countless hours of classroom education as you learn the ins and outs of being in space before you ever even set foot in a flight simulator. Even the first month's swim test is a gut puncher: you must swim 3 lengths of a 25-M pool without stopping, then swim 3 lengths of the pool in a flight suit and tennis shoes, then tread water continuously for 10 minutes. And don't think that just because you've made it to "candidate" that you'll make it to "astronaut." You'll first have to pass the following candidate courses: International Space Station systems training, Extravehicular Activity skills training, Robotics skills training, Russian language training, and aircraft flight readiness training. However, if you do pass, you'll become a permanent federal employee (and all the benefits that come with civil service). Even if you aren't picked to be an astronaut, there's a good chance that NASA will be able to place you somewhere else within the organization. While awaiting missions, many neophyte astronauts are similarly assigned throughout the agency (and international partners like JAXA or the UKSA) where they can pick up additional space flight skills. Once they've actually been selected for a mission, candidates have another couple of years of study, practice, and preparation for their trip.